Near the village of Melbridge, in a quiet corner of a gloomy asylum, shell-shocked soldier "John Smith" (Ronald Colman) waits for someone in the world to claim him. Having lost his memory, but desperate to belong somewhere, he wanders out of the grounds and into the world one night, under cover of the Armistice celebrations. 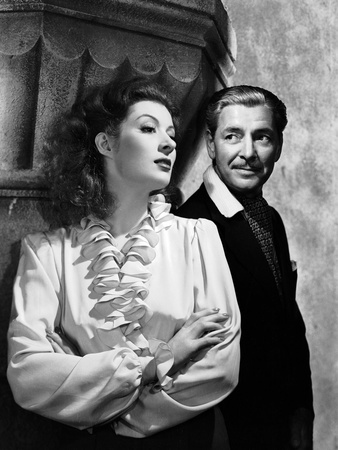 He soon befriends Paula (Greer Garson) who instantly recognises him as a lost, terrified soul on the run, and takes him under her wing, protecting him from being returned to the asylum by running away with him to an isolated coastal town, where they soon fall deeply in love and marry. Within a few months, their baby son is born. As pieces of his memory begin to return, "Smith" discovers a talent for writing, and travels to Liverpool for an interview with a newspaper. However, while crossing a busy street, he is struck by a car and rendered unconscious. When he awakes, his past memories are restored, but his life with Paula and his child are now forgotten. He is Charles Rainier, a wealthy businessman, who cannot recall how he got from the battlefields of France to a Liverpool street. He returns to his family home at Random Hall and assumes his position as head of the family, enjoying such success in business that newspapers proclaim him to be the "Industrial Prince of England". Paula however, has never given up hope of finding her "Smithy", and when she sees his picture in a newspaper, re-enters Rainier's life covertly, in the hope that seeing her face will jog Rainier into remembering her. This was Hollywood firing on all cylinders. Colman was at the height of his powers as the quintessential, debonair romantic lead. 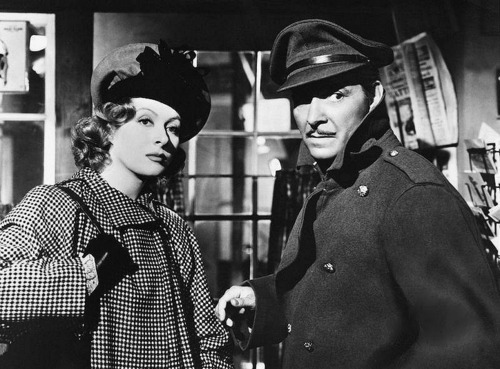 He hadn't been this quixotic since 1937's 'The Prisoner of Zenda', and no actress was hotter than Garson in 1942, having landed with 'Goodbye, Mr Chips' in 1939 and 'Pride and Prejudice' with Laurence Olivier in 1940, and just about to receive an Oscar for 'Mrs Miniver'. Her tender portrayal of the devoted Paula is what anchors the movie. Again and again, it is Paula's quiet dignity that takes your breath away, watching as Rainier finds love elsewhere, as he stumbles time and again towards the memory of their life together, only to stop and check himself. As the movie enters its final third, and truly twisted plot turns are taken, it never loses its grip. Amazingly, 'Random Harvest' really does have the power to shock, even today. It's a much darker, braver film than its sentimental reputation gives it credit for. The production values are excellent, with Mervyn LeRoy's wonderful direction and Cedric Gibbons' Art Direction a particular highlight. Special mention also to the excellent supporting cast consisting of "Clarence" himself, Henry Travers, the irrepressible Una O'Connor in a fleeting role as a tobacconist, and the luminous Susan Peters as the precocious Kitty, whose burgeoning career was about to take a tragic turn only a few years later, when she was paralysed in a hunting accident. They'll never make a movie like this again. That time is gone. 'Random Harvest' is a real snapshot of the past, a beautifully preserved insight into the attitudes of yesterday. It's also the greatest, most unashamedly heart-on-its-sleeve romantic movie that Old Hollywood ever made. Magic Moment: That twist: "Oh yes, I'm sorry Miss Hansen. Bring it in, please"